Spring and summer, I spent a lot of time in the tasting rooms and on the patios of Virginia's vineyards. Sunny days seemed the perfect excuse to pack a picnic, put the top down on the MINI and head for the hills. Now that it's inching closer to winter, a few wineries are still open and are cozier than ever. After my last meeting today, Al and I pointed the car towards Early Mountain Vineyards to visit our friend Rachel. 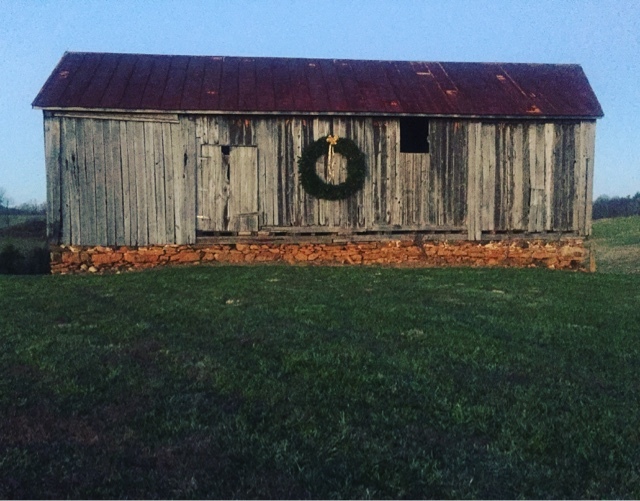 We were greeted with barns donning wreaths, twinkly trees in the tasting room and fresh cut wood by the outdoor fire pits. 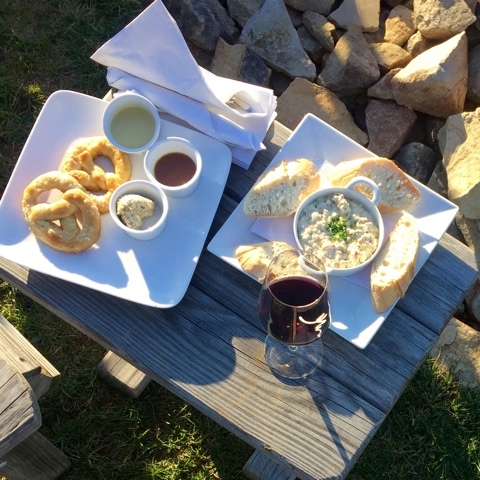 Those few hours spent under blankets and sunshine drinking a Boxwood Winery red (one of my favorite things about Early Mountain is that they showcase the best wines from across the state in addition to their own) and eating warm sausage dip made us forget the stresses of the job. This weekend (November 28 and 29), they have photos with Santa, horse drawn carriage rides and a cookie decorating party! 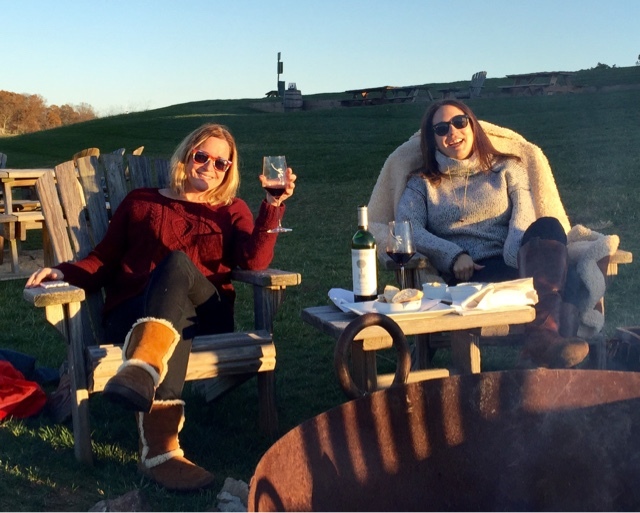 What other Virginia wineries have a great winter season scenario? Tell me in the comments or tweet me @tammy! Early Mountain Vineyards is located at 6109 Wolftown-Hood Road in Madison, VA. Depending on traffic, it takes a little more than two hours to reach from Washington, DC. There is a tasting room, full service restaurant, locally sourced store and event space on the property. We flew home to book this venue in June last year. Absolutely loved it here and I'll be certainly waiting to go back there for more events. Regardless of the time of your event, you always get the same thing at this convention center: reasonable drink prices, great decoration, & friendly staff.